Well, first off I want to say thanks to @ThePeterHa for kicking off my creative juices, with a polite plea for me to bring back Post-It Comics. Of course also need to say thanks to @seanosh for 2nding, @ryanlack for 3rding and @moesch for 4rthing. 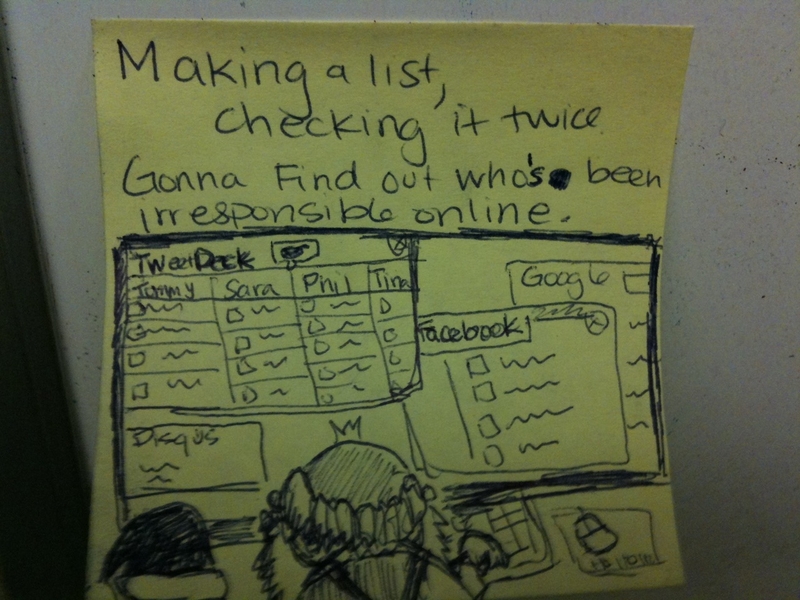 Hopefully this marks my broader return to blogging, but for now, we’ll start with just a holiday inspired Post-it. Enjoy! Oh, and if you’re wondering, yes I *did* mess up on who’s vs. whose. But let’s just focus on the fact that I fixed it. And, hopefully this blemish is what will make the original drawing worth millions in the future.